I'm going to be straight-up honest with you all – Bintan is not my favorite Indonesian island to visit. We were left disappointed after our visit to Bintan, but I think it is due to the fact that none of the blogs that I read or videos that I watched actually explained what to expect very well. So before we jump into our post on the top things to do in Bintan, I wanted to talk to you about who Bintan would be perfect for. Because we don't want you to go on holiday and be left feeling disappointed. 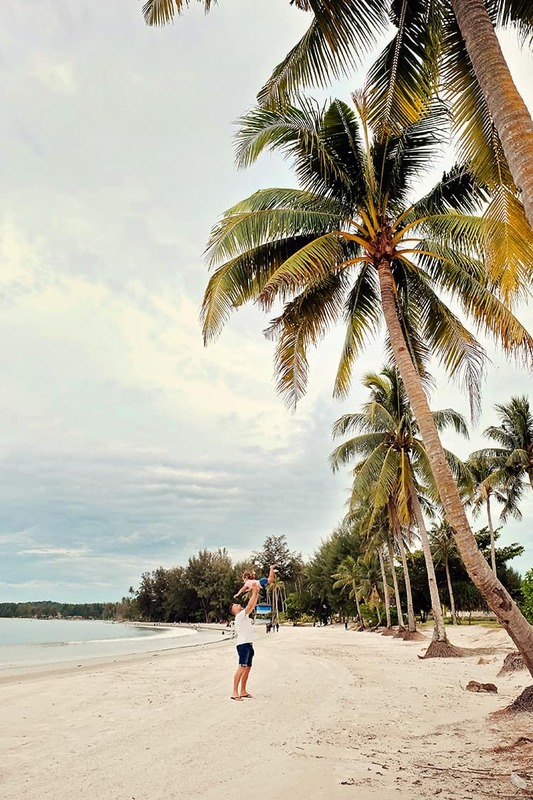 Bintan Island is a very short ferry ride away from Singapore, which means that if you are staying in Singapore, then Bintan Island can very well be a great place to go for a short getaway. Bintan has basically sectioned off a piece of their island into a resort-filled tourist-focused area. 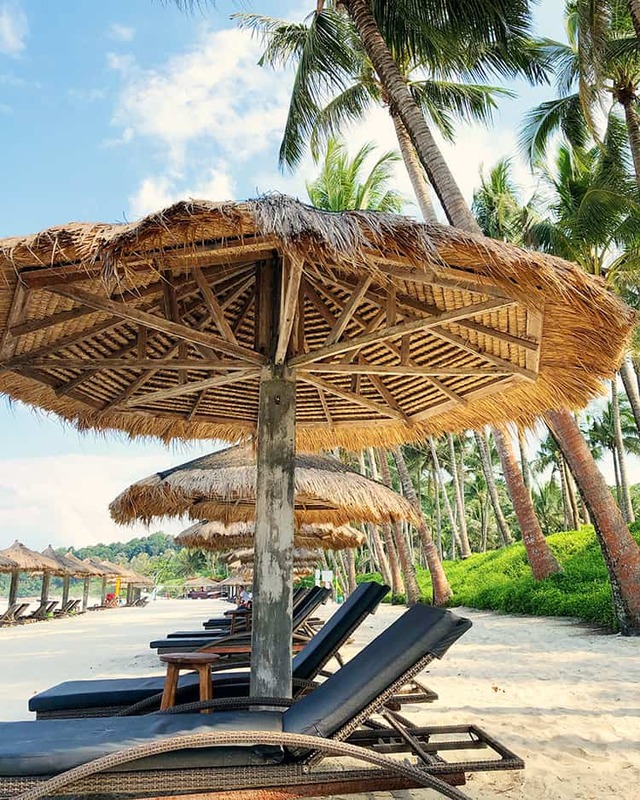 The section is called Bintan Resorts and it is NOTHING like the local Bintan Island that lies behind the pristine roads and hedges found in the resorts area. In this area, you can find budget, mid-range and luxury resorts. There are some fabulous resorts and they do a good job of offering everything a tourist could need to be pampered. So if you would like to visit a resort and just relax and you have enough $$$ to spend, Bintan Resorts could be perfect for you. 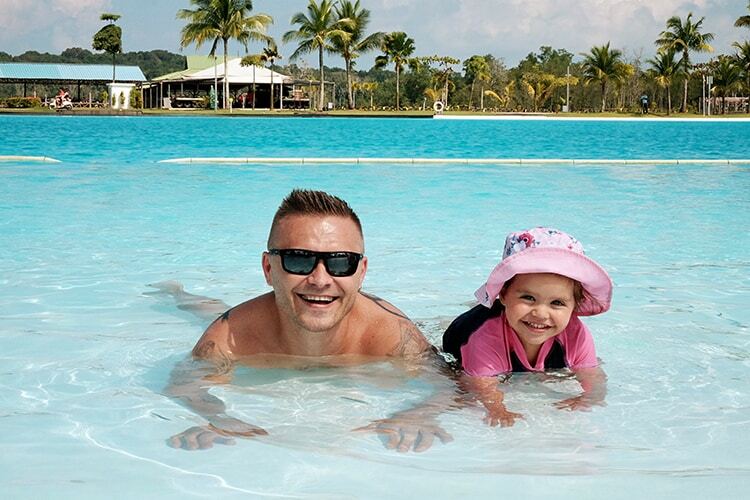 Tip: Check out guide to finding the best Bintan resort for family holidays. Some of those resorts also offer amazing couples villas! We found that they were all super pricey (in comparison to other Indonesian Islands). Food, cocktails, massages in the resort area were so much more expensive than what we expected. Cocktails in the resort worked out to be around AUD $16-20, which is similar to what we would pay in Australia. Food was super standard and in my opinion not worth what they charged. Whilst it was nice to explore Bintan Island once you leave the resort, you will need to expect lots of driving in order to see small and humble attractions. The beaches were nice but didn't blow us away and we found trash in many locations on the beaches. Even this photo below that we took, whilst the section you can see in the photo had been cleared of trash, the section that you can't see had loads of trash on it. We realize that the whole of Indonesia has a trash problem, but still. 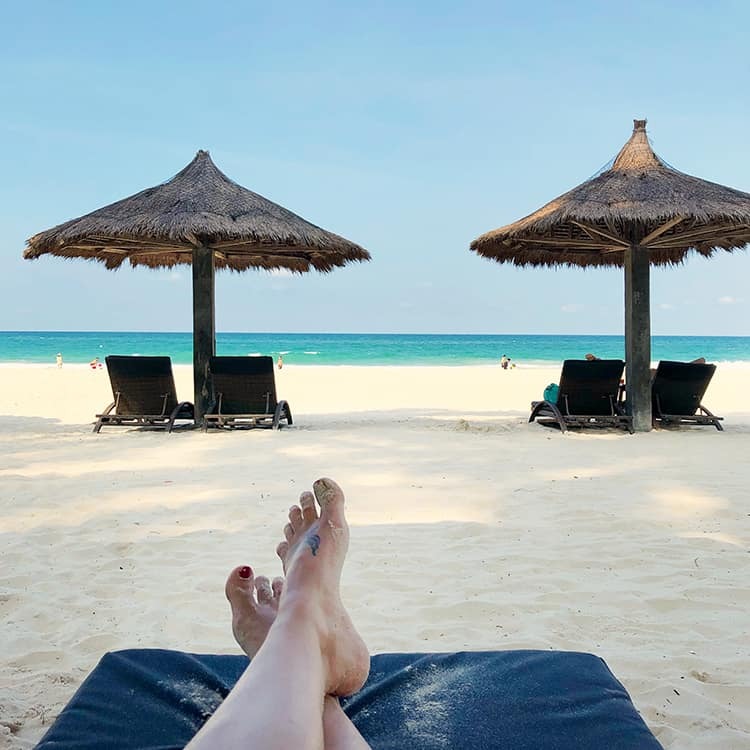 So after our honest review of the island, just to reinforce – Bintan is a great destination for those living in Singapore who would love to hop over to a beachy tropical destination for some pampering in a beautiful resort. But if you love holidays that involve a mix of pampering in the resorts, with a good dose of culture and some fun sightseeing or adventure, then I think you should look at some of the other beautiful Islands in Indonesia – such as Lombok. But enough of the talking, let's move on to our list of things on your trip to Bintan. Bintan Resorts Ferries (BRF) run speedboat ferry services between Singapore's Tanah Merah Ferry Terminal (TMFT) and Bandar Bentan Telani (BBT) Ferry Terminal in the Bintan Resorts area. The transfer takes 60 minutes. You will need to check in at least 1.5 hours before the ferry departure time. Large suitcases will need to be checked in and you will need to go through immigration before boarding your ferry. Once you arrive at Bintan, you will need to go through immigration before hopping on your transfer to your hotel. Most hotels offer free pick up and drop off to the Bintan Resorts Ferry Terminal so make sure to check with them first before you fork out the $$$ to arrange your own transfer. The process is really simple, the ferry is comfortable with soft seats and aircon. Our ride was a bit choppy, so make sure to take some seasickness tablets if you are prone to motion sickness. Ferry tickets can be booked online at www.brf.com.sg. Find below our list of the top things to see in Bintan Island. You can choose not to do anything particular in Bintan and just laze around by the poolside in one of the island's many resorts. There are multiple resorts tucked away in cozy corners. 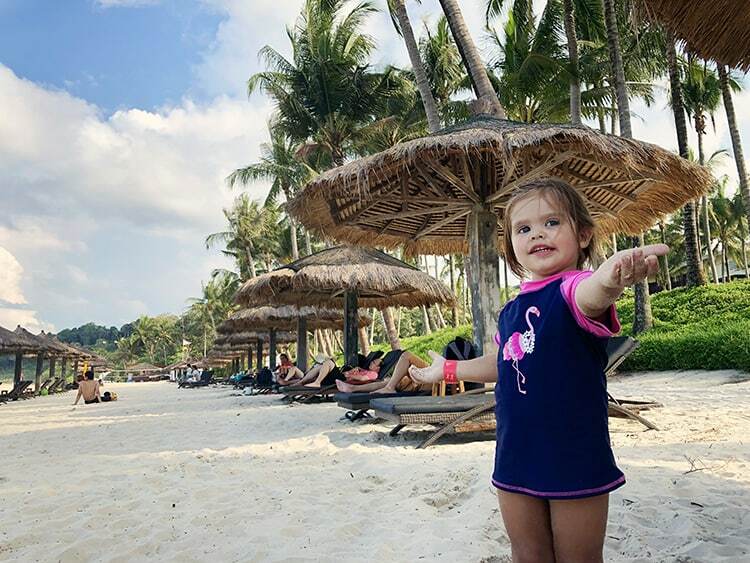 We absolutely LOVED the beach area at Club Med Bintan. You can also hang out at a spa and rejuvenate your body along with your spirit and mind. We didn't get to try these out as the prices were a bit too expensive for us, but there sure was plenty of resorts and venues that offered massage and spa treatments. 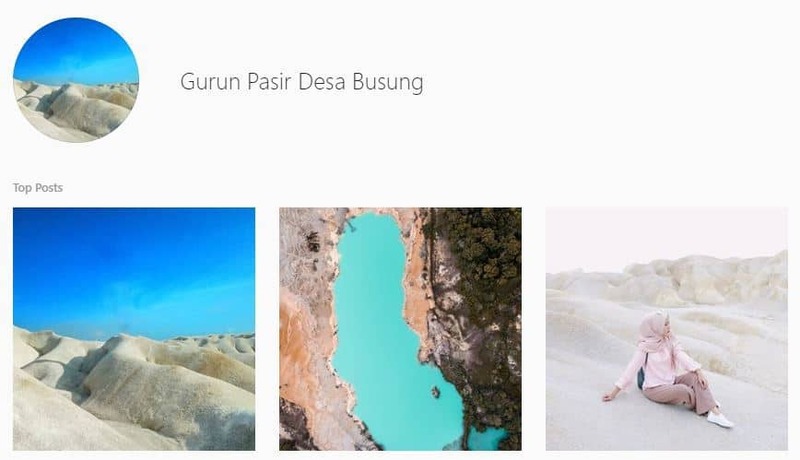 The more outdoorsy gals and guys can visit Gurun Pasir Busung. You will need to pay a driver to take you to this attraction (and they ain't cheap!). Expect to be in the car for around 45 min in order to reach this site. 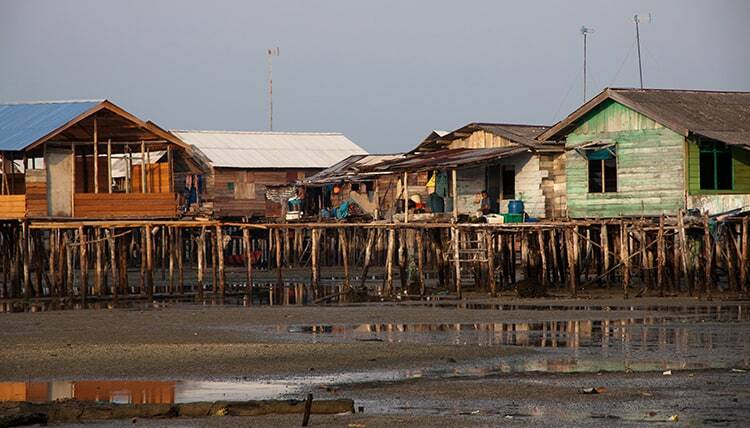 It’s a showcase of how diverse the landscape can be in Indonesia. But don't expect to only find nature as many tourist flock to this area as it is becoming more and more of an Instagram-Hot-Spot. 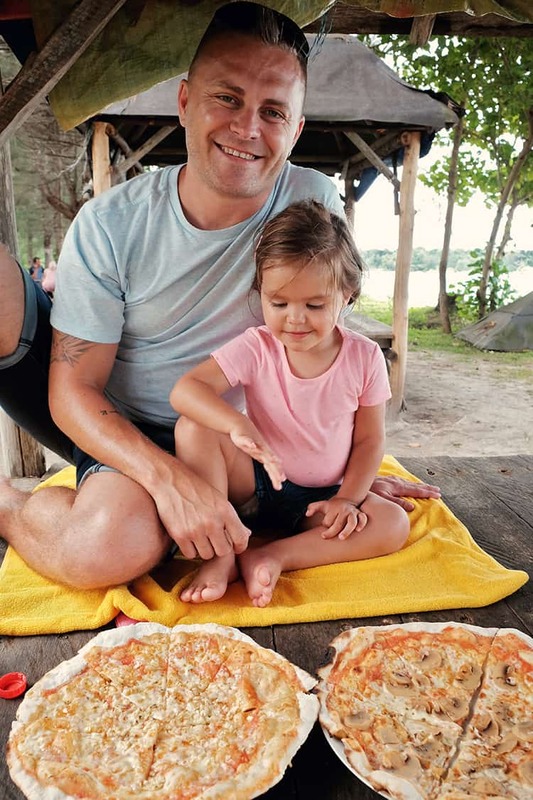 How would it feel to bite into a hot, scrumptious pizza after frolicking on the beach? Blissful, isn't it? Quite close to the Trikora beach, a major destination in Bintan is a shack-like structure called Pizzeria Casa Italia. 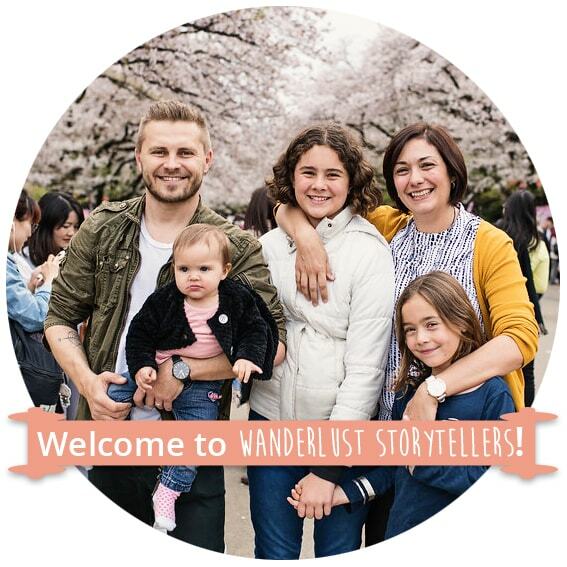 Run by a lovely Italian family, the place has become a hit with weary travelers. Don't go by its unassuming appearance, this little restaurant is known for its great hand-made pizzas – I also really loved their thick dark coffee. Places to visit in Bintan is not limited to oceans and beaches. Take, for instance, the Danau Biru in Kawal. 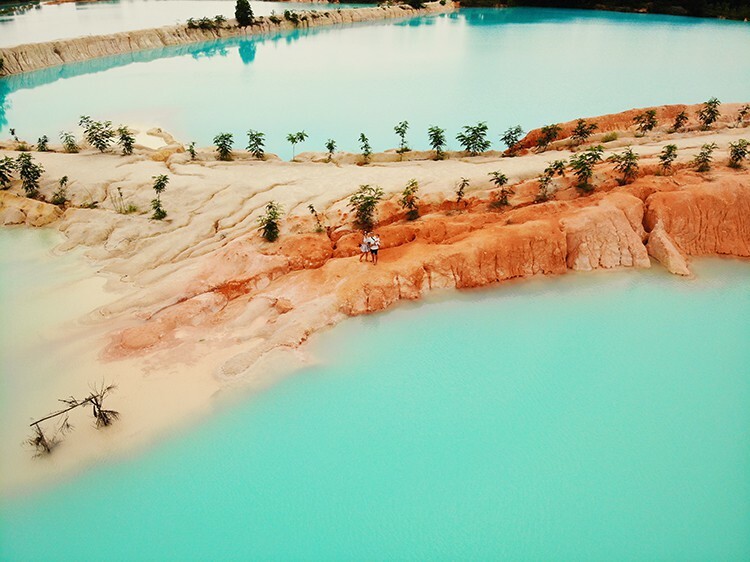 Danau Biru literally means blue lake, and it is indeed, mesmerizingly blue. If anything, the waters of Danau Biru is bluer than those of the neighboring high seas. The Danau Biru got its brilliant shade of blue owing to mining activities nearby. Mining is still carried out in the vicinity; therefore, there is no threat of Danau Biru losing its hue. 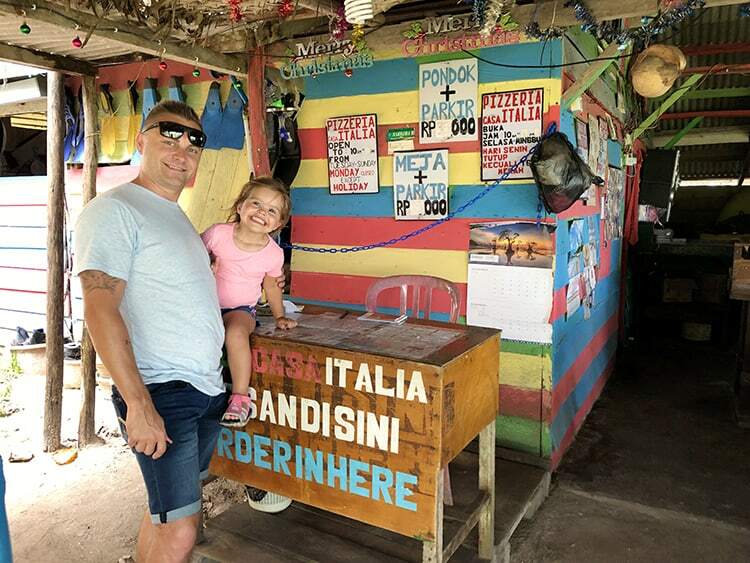 We found it really tricky to find Danau Biru, so if you are using your own transport, these coordinates might come in handy (and don't be afraid to ask the locals). We loved checking this attraction out, but as a warning, it will take you 1hr30min to reach. Danau Biru is pretty small, so you will only spend around 20 minutes here and there isn't much to do in the vicinity. Just so you know. Treasure Bay Bintan, as the name suggests, is a treasure trove of a place. Set amidst lush tropical greens, this resort offers a range of facilities to its visitors. 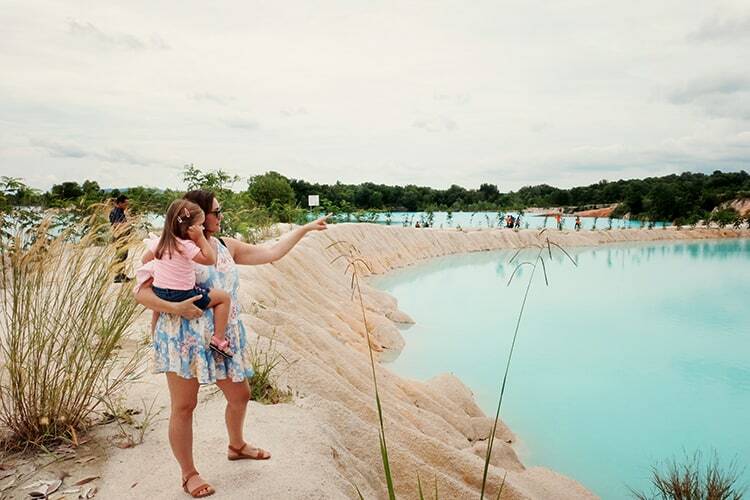 The Crystal Lagoon is Southeast Asia's first man-made seawater lagoon. There is a small section for the little ones to swim in. Add in other fun activities such as kayaking, flying with the Jetovator, hopping on a water tricycle or trying out an underwater scooter – and so, so much more. You could easily spend a day here, but bring LOTS of money as you will have to pay an entrance fee, as well as pay for each water sport activity that you would like to try out. 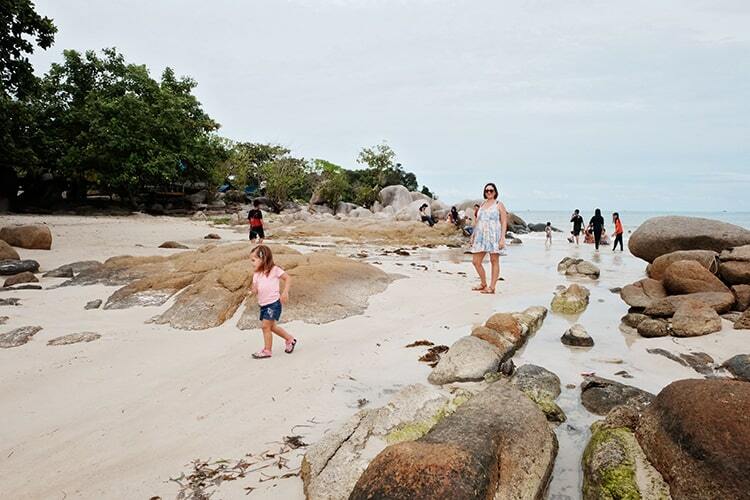 White Sands Island is a gorgeous private island that you can visit on a day trip from Bintan. It is located within just a 15 minutes boat ride from Trikora Km. You can do a ton of fun activities on the island. You can go snorkeling in the clear blue waters, do some kayaking around the borders of the island or you can just relax. Before the development of the resort culture, Trikora beach was the most popular beach on the island. There are four beaches of Trikora – Satu, Dua, Tiga, and Empat. We visited most of those and only saw locals enjoying their own beaches. In my opinion, the resort beaches in the Bintan Resorts area are prettier than the ones you will find at Trikora Beach, but we did enjoy getting away and being amongst the locals for a bit. (And maybe our crappy weather on the day didn't help). If you are more of the adventurous kind, I’d highly recommend opting for a Mangrove Discovery Tour. Get to witness the local wildlife and enjoy the calmness of nature. 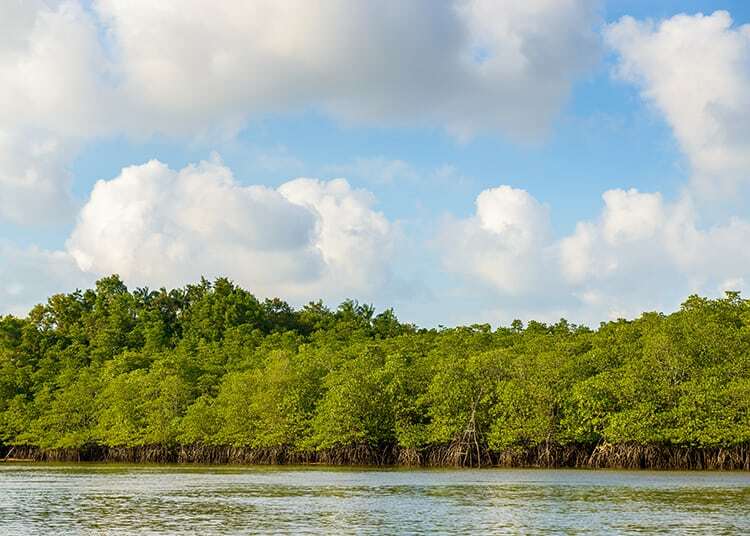 The Mangrove tour is a splendid way to soak in the beauty of nature and gawk at the wildlife, close in action. You might even get a glimpse of local fishermen working which is extremely fascinating if you haven’t seen something like that. And if you are feeling even more adventurous, then go for the night tour! Enjoy the starry sky and the serenity of a jungle river at nighttime. This one is a must, especially, if you love a spa! Who doesn’t anyway? Also, this is an interesting experience, to say the least. Immerse yourself in the heavenly massages in an environment that is completely in harmony with the nature around it. Let yourself lose and enjoy the serenity while getting a Traditional Riau Body Massage or extend your stay by going for a De-stress River Spa Package. You can read more about the Floating Spa here. 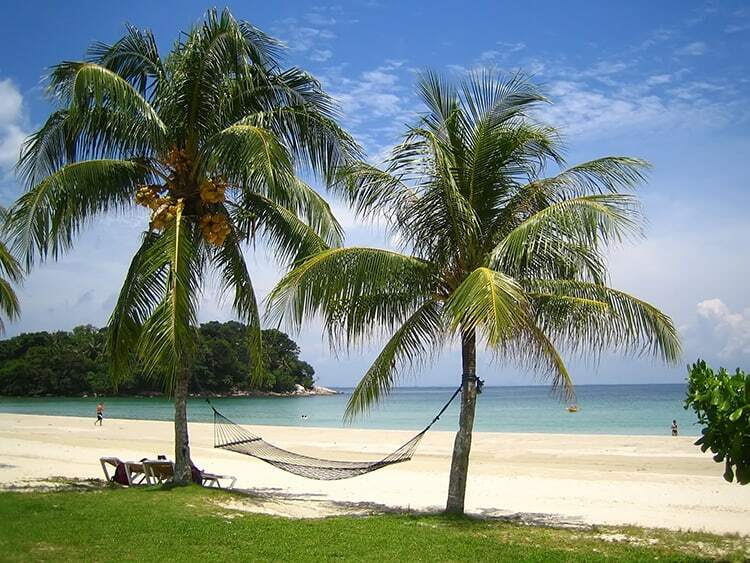 Apart from the turquoise blue water, Bintan also has a thing or two to offer to those who want to savor local culture. The nomadic gypsies, who still live in stilt houses, can take you back to a time when life was less complicated and idyllic. We’ve have summarised all the things you need to do during your stay in Bintan! There are other Bintan attractions that we haven't included on our list. We went and stopped by the so-called ‘ghost ship' that many bloggers talk about and we weren't allowed to get up close to it. Whilst it was interesting to see, I don't think it is worth noting on the ‘best' list. Of course, you could visit the 500 Lohan Temple, but it is a long way to go and except for the impressive 500 statues there, there isn't much else to see. Private drivers are expensive in Bintan, so it will be important for you to plan our your attractions and sights. I hope our post on what to do in Bintan island has been helpful and hopefully our honest feedback will be helpful for you. Of course, if you had a different experience to us in Bintan, please leave your story below because it will be helpful for our readers to read through your story as well.